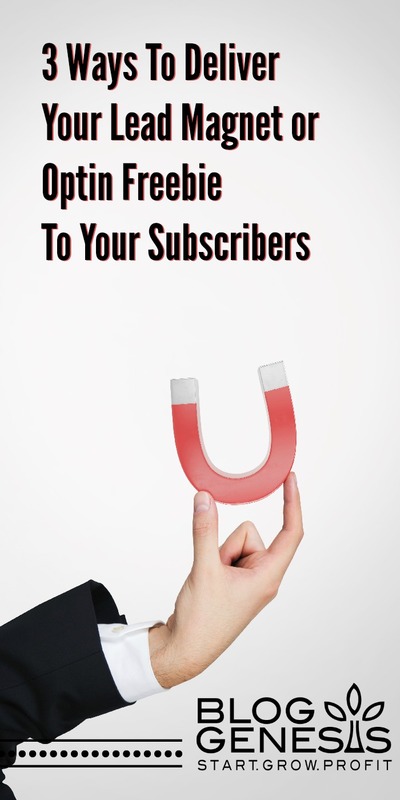 Discover how to become intentional when it comes to crafting lead magnets and special offers that you use to build your email subscriber list. By creating offers that directly tie in to the content on a given blog post, offering a more in depth case study or analysis of a given topic, you readers will be much more inclined to offer up their email address for content that they’ve already proven to be interested in. Hey, guys. This is Ashley Rader with your Blog Genesis Blogging Quick Tip. Today I’m going to show you an easy way that you can increase your blog subscribers by more than 500%. Are you ready? Let’s get started. What I’m going to show you today is a trick that has increased my opt-ins by more than 500% on my blog. Now there’s a very targeted way to go about this and really what that entails is being very specific about the offers that you make. What I’m going to show you here is what’s called an in-content opt-in form. If we scroll down here I just put up an example to show you. If we go right here, right in the middle of the content I’m talking about making money on your blog, and hey, there’s this little box that appears that says click here for instant and free access to my blogging income challenge. If you click this little link, the way that this is included into the content makes it part of the user experience. Rather than having it be a miscellaneous opt-in form off to the side, I’ve made it relevant to what the reader is learning about within the content. I’ve created it in such a way that it’s like taking the knowledge one step further. Here I’m telling you how to income kick start your blog, and now you can take it even further and join the blog income challenge. Creating some kind of an offer like that, rather than just putting together a random ebook and having it be in your side bar. If we get intentional about the types of offers that we create that are going to enhance a user’s experience, those are the type of offers that people are going to be much more willing to give up their email in exchange for. Nowadays there’s ebooks and special offers are a dime a dozen, so we have to find a way to be really purposeful about the offers that we’re making. Really the best way to do this is to create a separate offer for each of your major blog posts. Going through your content, pick out 10 or 15 of your top posts, the posts on your blog that drive the absolute most amount of traffic. Create some kind of an upsell, or not really an upsell but an add-on bit of learning or something that takes whatever they were reading about in that blog post and takes it one step further. Put together an offer like that. Then we add these little in-content boxes. It’s put there within the context of the blog posts and takes their learning a step further. 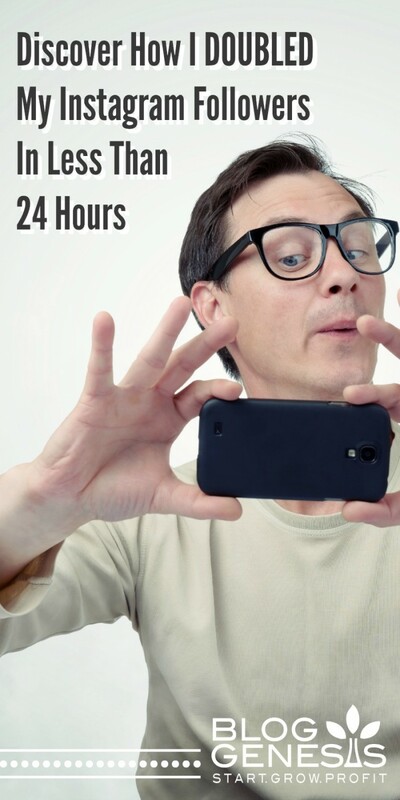 I’m going to show you today a very easy way to get started with this in a more broad scope. If you want to just test this process out and see how it works on your blog, there’s a way that we can actually automate the insertion of these in-content ads. Now, doing it this way, kind of the more quick and rough way, isn’t going to be as targeted because we are putting up the same offer on every one of our blog posts. Ideally, you really want to craft targeted offers for each post. If you want to just give this a test drive and see how it can increase your conversions, put together a generic offer that really speaks to a large percentage of your readers if they were on really any of your blog posts. Create an offer that would enhance whatever they’re reading about. In my case I’ve put together this blog income challenge. 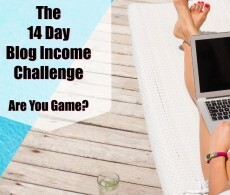 It’s a 14-day challenge that gives very specific things that they can do on their blog to increase their income. A lot of the posts on my blog are about taking your blog to the next level, monetizing it, those sorts of things. A blog income challenge really does apply for a vast majority of my readers. I’m going to show you here a really quick and easy way to add a box like this within all of the content on your blog. 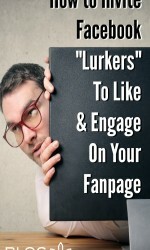 You can add it to all of your posts, all of your pages. You can add it to every single page on your site. You can even just add it to specific pages. There is a really cool plugin that I often recommend for new bloggers when they’re starting out. It’s typically used for AdSense or really any type of ads. 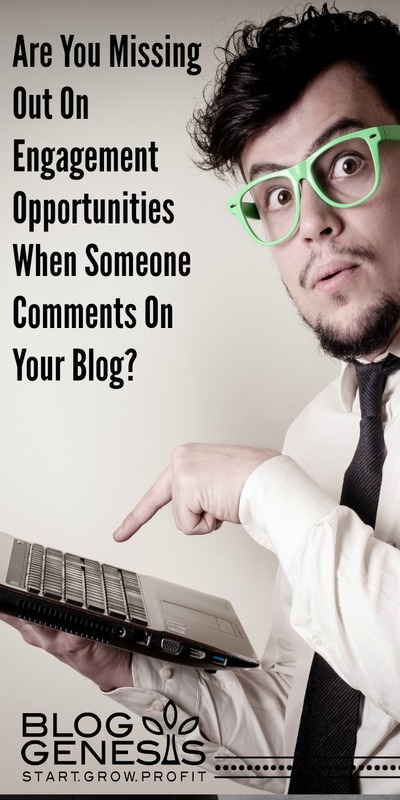 What I’m encouraging people to think of their blog is move beyond just the plastering up of banner ads all over their site and really be, like I said, intentional about starting a conversation with your readers and inviting them into following you. I’m going to jump over here. I’ve installed this plugin. It’s a free plugin on the WordPress plug directory. It’s called Quick AdSense. It’s kind of an ugly plugin. When you look at the settings page there’s a lot of code-looking things and weird options. Basically what this plug in allows you to do is ad a bit of code or wording or any type of text that you want into specific areas of your post. Typically, you would be pasting in ad codes. You’d take your Google AdSense code and add it down to this area here. It has room for ten different ad spots. Instead of putting ads here, we’re going to be putting our opt-in code. One of the things you’ll notice, if we go back tot actual blog post here, when you click on the link within this opt-in form, instead of taking us to a whole new blog post or page, it just pops up a little email capture form. I use OptinMonster. I’ll put a link below the video for how to check that out. LeadPages does a very similar thing. There’s a number of different services that offer these popup options. PopupAlly is another that has both a free and a paid option. Basically, you want to find the service that allows you the ability to click a link and have a small box popup where the email address and the name can be submitted. For my example here I’ve gone ahead and I’ve created a popup box using in OptinMonster. OptinMonster right out of the box doesn’t have the option to click a link and have the popup. Their software typically is run as an automated popup that happens maybe five or ten seconds after the user lands on a page. OptinMonster does offer some code here. If you do a search for how to manually load a popup with a click, there is an option for how to do that. It’s really easy to set it up. I’m hoping down the road OptinMonster will add that into their feature set because that would make it a slam dunk. In any case, I’ve gone ahead and I’ve used OptinMonster to create this popup. You can go in and you configure the look and the layout of it. You can change the colors and the boarder and all sorts of different things. You can change the way that it pops up. You can do all sorts of cool things. Now all you need to do is put together the text or the HTML code that you want to use to actually display that box. Right now I’m talking about this box right here. The theme that I’m using has a box or feature element built in. Whatever your theme you’re using, you might have that option, or you might just want to put some bold text with a border around it, however you want to set that up. I’ve gone ahead here and written out what I want to show up as the text of that box. I’m just going to copy this code right here and we’re going to paste it into the ads area. Up at the top, what have the option of where we want to assign that particular bit of text to appear. We can assign it at the beginning of a post, in the middle of a post, at the very end. We can assign it after certain paragraphs. What I’m going to do for this particular ad, and like I said, this is just for testing it out to see if it’s method is really working well and converting more highly for my readers, is I’m going to assign it to the … after the third paragraph this box is going to appear on every single one of my blog posts. I’m going to check that there. You can also select a different number of paragraphs. You can also check to ad it to the end of the post if there’s only maybe one or two paragraphs in your given blog post. Down below here you can go and you can specify it to only show on posts, only show on pages. You can only show it on specific pages like the homepage or an archives page. For my case I don’t really want it to appear on my pages, like my contact us page or my about me page. I just want it to appear on my blog posts. I have that option selected here. I’m going to refresh the page because I did remove this. This is how my blog posts look without that box inserted. now we’ll go to the bottom of this Quick AdSense plugin and we’ll save our changes. Now when we go back here and refresh the page you’ll see right after the third paragraph, one two three, we have our little opt-in box. This is the in-content opt-in box. It’s very applicable to the topic that they’re reading about. Now I have this box showing up on every one of my pages. If I click any of these other links … Let’s scroll down here. We should see the same box: exclusive bonus. This is a great way to really give this a test and see if something like this is going to increase your conversions over something like your typical opt-in. This particular page would be a great place to test because I have not only my below the blog post opt-in here. This is an opt-in form that appears at the bottom of every blog post. I also then right above it have this bonus offer. Within OptinMonster you can test and see which one is getting a higher conversion rate. This would be a great page to really take a look at and see which offer is getting more people to click on it. I really encourage you to go out and craft an offer that is either targeted for specific blog posts if you really want to take the time and be intentional and create very distinct offers for each one of your major traffic-getting blog posts, or if you just want to do this quickly and get it up and see how well it works, use the Quick AdSense plugin to add this bit of text into everyone of your blog posts and see if that doesn’t give a major boost in your email subscriber opt-ins. If you have any questions, feel free to post them below this video. I welcome you to share this video and come follow me on my YouTube channel, BlogGenesisTV.